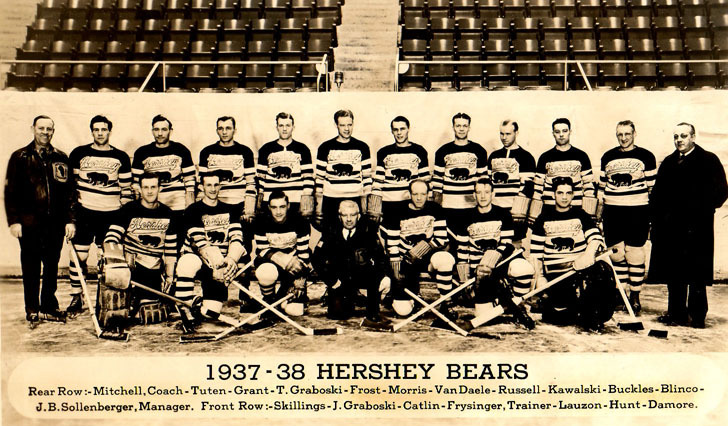 USA Hockey (then known as the Amateur Hockey Association of the United States) crowned its first national champion April 3, 1938, when the Hershey Bears completed a three-game sweep of Detroit Holzbaugh Ford to win the Senior Open title. USA Hockey’s first underage national championship, for players under the age of 20, was won by the Boston 97 Club, which claimed the Junior title in 1940. New Haven, Connecticut, coached by future Hockey Hall of Fame inductee Lynn Patrick, earned USA Hockey’s first national championship for players “under the high school age” by blanking New York, 2-0, at Madison Square Garden in 1949. Since then, thousands of players have taken the ice to compete for one of amateur hockey's highest honors: a USA Hockey national championship. Hundreds have gone on to play in the National Hockey League, including Joe Pavelski, Zach Parise, Phil Kessel, Patrick Kane, Sidney Crosby, Jonathan Toews, Kevin Shattenkirk, Jeremy Roenick, John Gibson, Scott Gomez, Jack Johnson, Nathan MacKinnon and many, many more. Among the older generations of USA Hockey youth nationals alumni, star participants included Mark and Marty Howe, Paul Holmgren, Gordie Roberts, Jack Brownshidle, Rob McClanahan, Neal Broten, Mark Wells, Ken Morrow, Herb Brooks, Craig Norwich, Steve Ulseth, Tommy Williams, Jeff Lundgren, Dates Fryberger and Bobby Crawford, just to name a few. Whether you were watching, playing or just following along, these lists of all-time USA Hockey National Champions are sure to bring back some memories. Hershey opened the first-ever AHAUS national championship (a best-of-three series) in 1938 with a win over Detroit at the Hershey Sports Arena. The Bears finished their title run with two road wins at the Olympia. 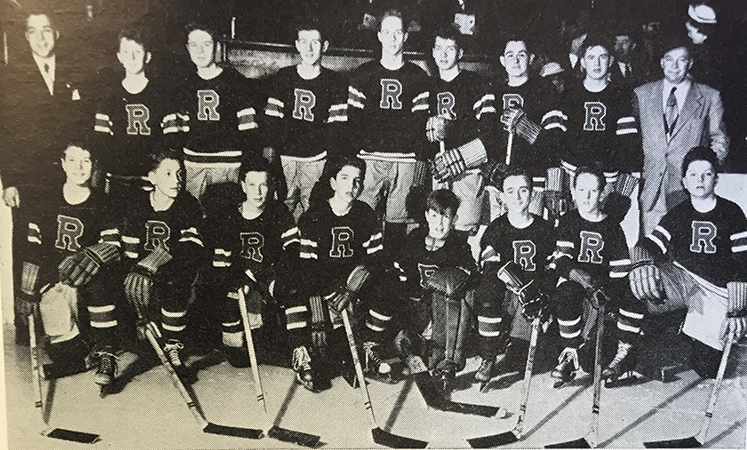 New Haven, Conn., coached by Lynn Patrick (top left), won USA Hockey's first national championship for players "under the high school age" in 1949.